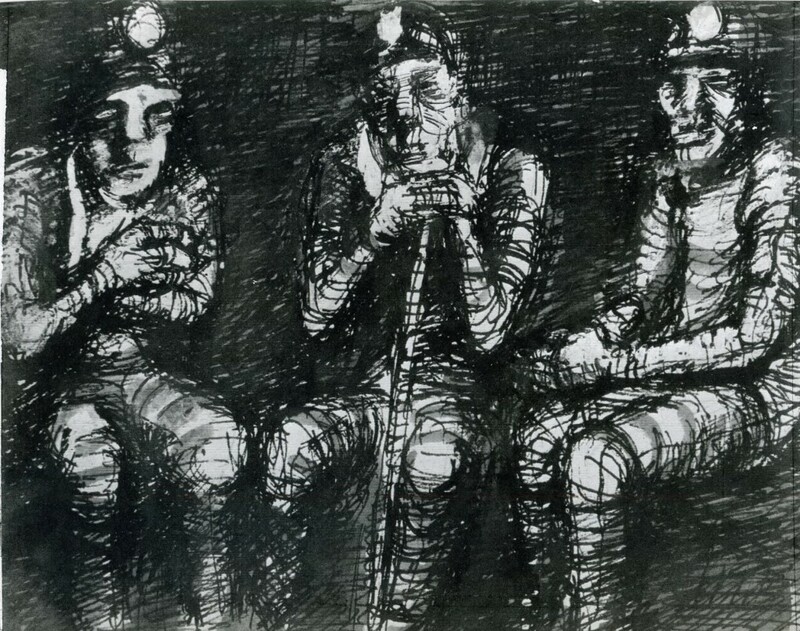 In the 1950s Tomiyama Taeko worked as a freelance journalist, focusing on the lives of miners in Kyushu. While there are almost no operating mines left in Japan today, coal and metal mining were still major industries in the 1950s. Miners were among the first workers to organize labor unions and played a central role in establishing Japan’s new postwar labor system, in which workers have far more rights than in the presurrender years. 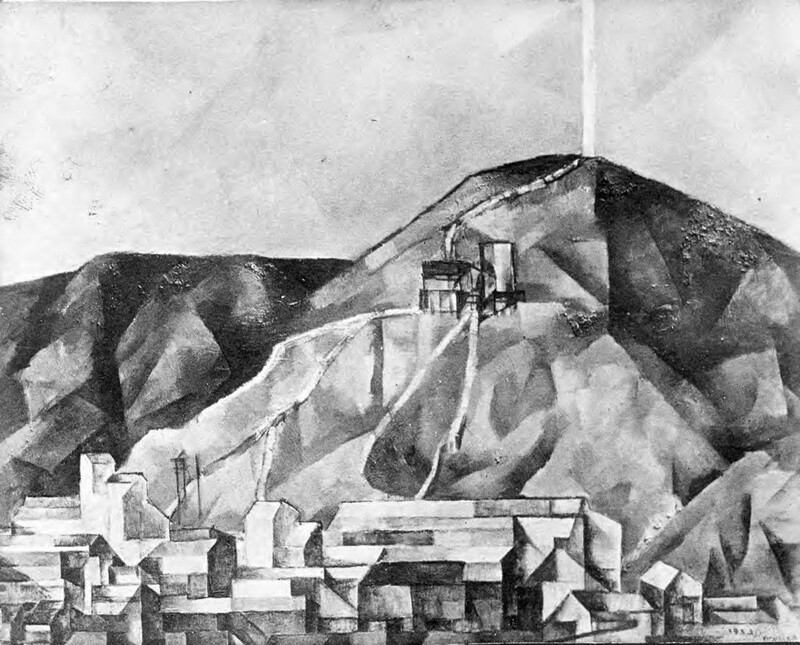 Yet the work was dangerous and dirty, and miners’ families often had to accept completely inadequate housing. Even when the rest of the nation began to prosper in the 1960s, miners remained among the poorest of Japan’s citizens. 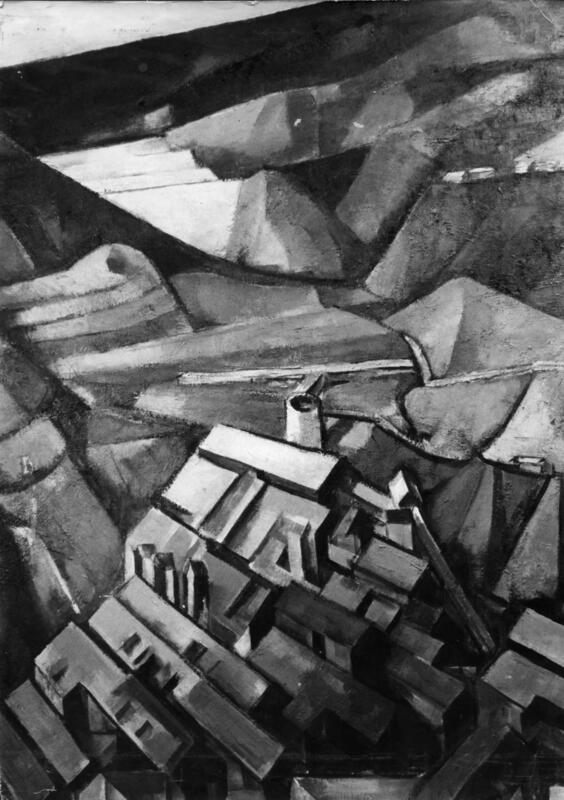 In addition to her journalism, Tomiyama also painted mine landscapes, beginning with an oil painting of a small copper mine in 1951. These were her first attempts to be a professional artist. Tomiyama was already making the visual argument that finding beauty in scenery not generally deemed beautiful was a way to find value in people not usually treated as valuable. 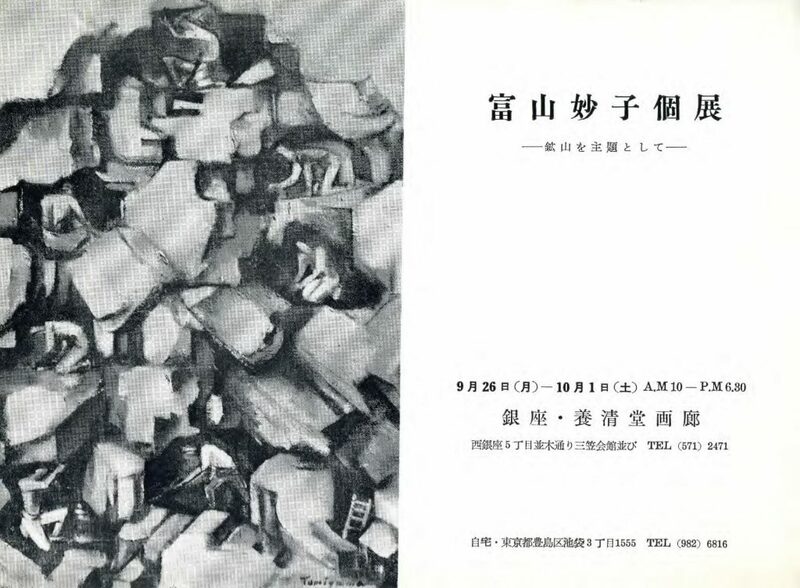 Nonetheless Tomiyama felt frustrated by her inability to express her ideas to her own satisfaction and gave up oil painting after completing these works. Three minescapes are reproduced here although only monochrome photographs of the oil paintings exist today. In the mid-1950s, Tomiyama concentrated on lithographs, and turned her attention to the inhabitants of Japan’s mining towns, depicting them as individuals with both determination and dignity. 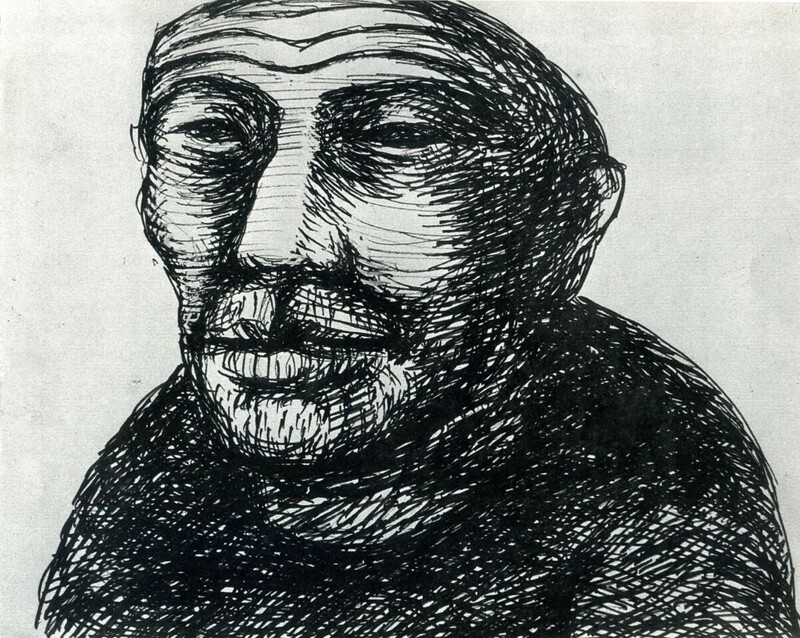 Artistically, Tomiyama was influenced by German interwar artist Käthe Kollwitz, although she worried about being dismissed as “nothing but Japan’s Kollwitz,” and given no credit for her own ideas. She also struggled to find ways to express both her artistic and political ideas, a tension which, although painful for her, has clearly also been creatively productive. For more on these artworks, see “Working on and off the Margins” by Hagiwara Hiroko in Laura Hein and Rebecca Jennison, eds., Imagination Without Borders: Feminist Artist Tomiyama Taeko and Social Responsibility, University of Michigan East Asia Center Press, 2010.